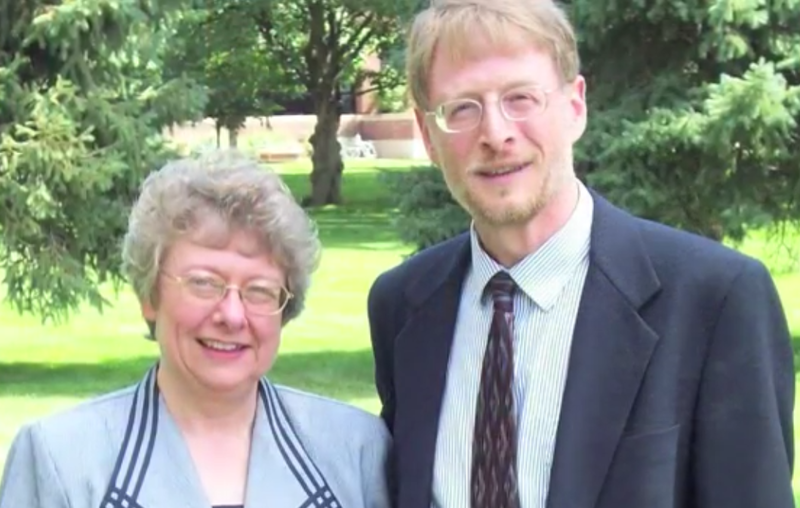 Crusading Against Poor History: An Interview with Dr. Paul Crawford | Andrew Holt, Ph.D. In 1940, the eminent crusade historian John L. La Monte complained of how, with the possible exception of Renaissance Florence, “no field” of historical research “has been the subject of so much worthless historical trash” as the medieval crusades. Over the last fifteen years, since I first began to study the medieval crusading movement as an undergraduate, I have increasingly come to appreciate the dim view of La Monte, as many crusade historians have continued to have very similar concerns about much of what has been published on the subject in the seventy-five years since La Monte first made his claim. 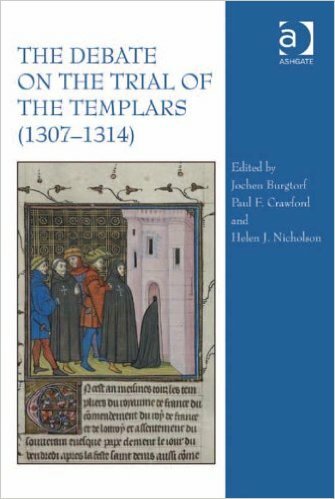 Consequently, when historian Alfred J. Andrea and I began to consider the idea of a book on modern popular myths of the medieval crusades, we were not surprised by the widespread interest we found among crusade historians in the project. Indeed, since 2008, when Al and I first discussed the topic at a crusade history conference in St. Louis, a number of crusade historians have had serious questions about the project, expressed curiosity over which of the many possible myths we might address, and often also expressed an interest in contributing to the project. Thus, it is not surprising that our final effort, Seven Myths of the Crusades, to be published in September 2015 by Hackett Publishing, involves the collective efforts of ten professional medieval historians who all teach, research, and write about the crusades. One of those historians is the widely respected and well-known Dr. Paul Crawford of California University of Pennsylvania. Paul was, for a number of reasons, an obvious and natural choice for this sort of project and I actively recruited him to contribute a chapter for us, to which he (thankfully) agreed. 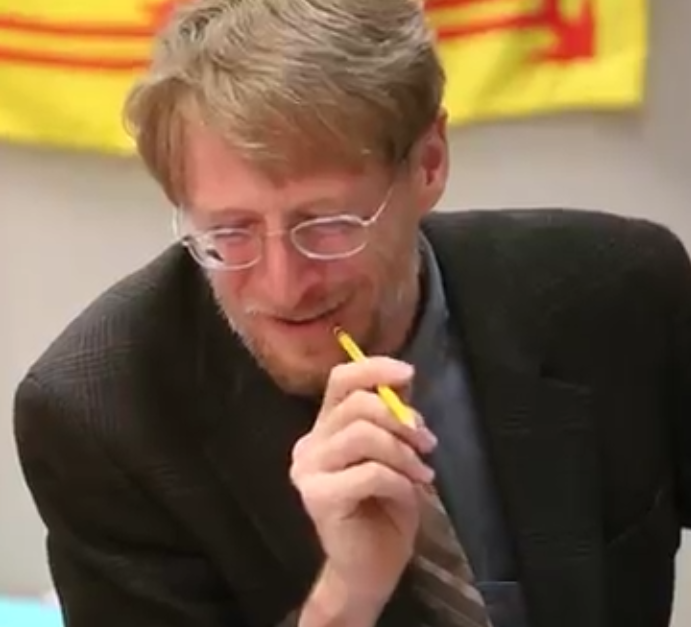 With over thirty years of teaching at the college or university level, Paul (as a tenured full professor) is well aware of the views most students bring into the classroom concerning the medieval crusades and how to respond to them. 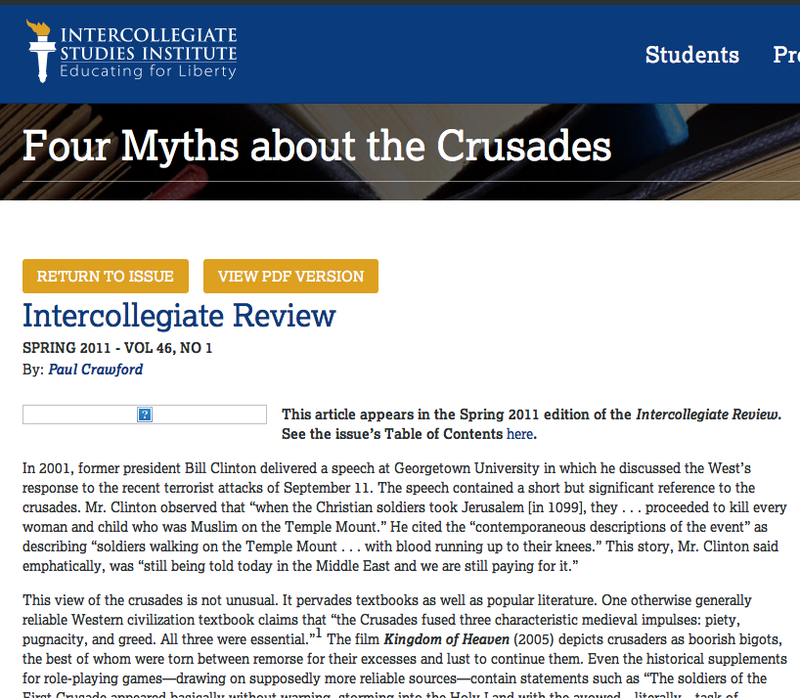 I have often assigned his popular article Four Myths About the Crusades to my students at Florida State College at Jacksonville with always excellent results. Paul also has extensive experience engaging the public on matters related to medieval crusading history in a number of media forums. 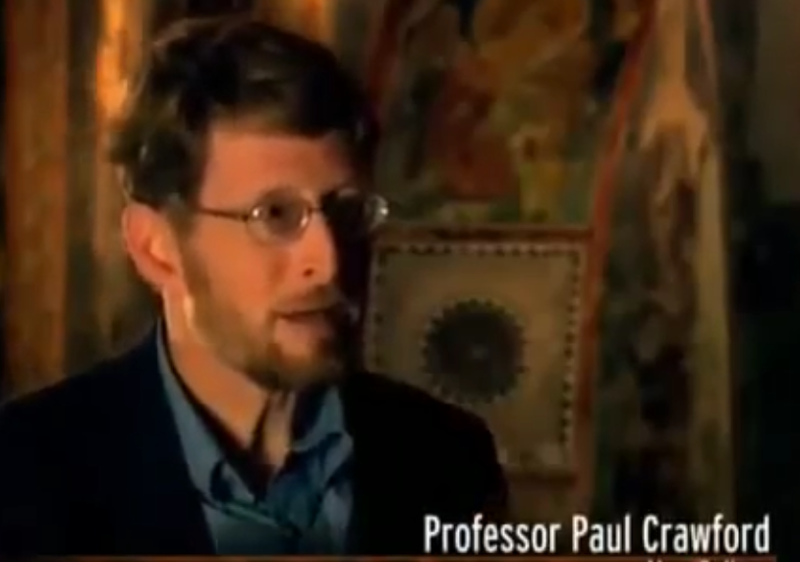 As a reflection of Paul’s ability to communicate scholarly knowledge to a popular audience, he has assisted in the preparation of several television programs on the crusades and related topics for the History Channel, the Discovery Channel, and National Geographic, and has appeared in three programs for the History Channel, including “History’s Mysteries: The Children’s Crusade” (2000), “The Crusades: Crescent and the Cross” (2005), and “Lost Worlds: Knights Templar” (2006). But lest Ardella be accused of bias, her assessment of Paul’s enthusiasm is not unique. Laura Tuennerman, former chairwoman of the California University of Pennsylvania’s Department of History and Social Science has remarked, “The unique thing about him [Paul] is that he is so interested in the crusades and the Knights Templar that he is able to draw students in.” Consequently, Paul has become a popular professor as reflected in his recent nomination for the Cal U Presidential Faculty Gala Award for Teaching (which he was ineligible for only because he was on the selection committee) and his award (2011-2012) of the Cal U Presidential Faculty Gala Award for Academic Research. 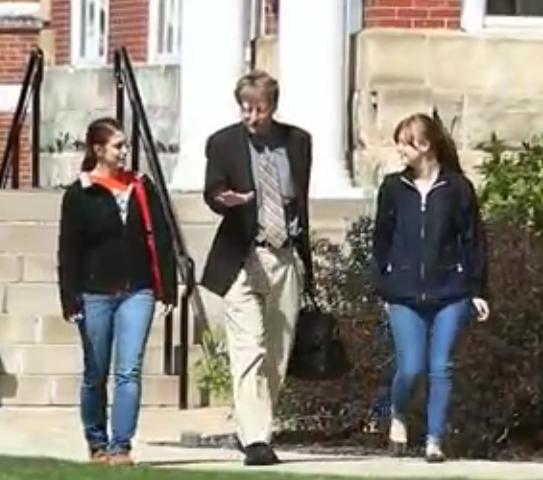 Click here for video of Paul thanking his colleagues and students for the award. Paul’s contribution to the Seven Myths of the Crusades book is an important one. Indeed, prominent crusade historian Dr. Alan Murray at the University of Leeds, in a review of the manuscript completed for Hackett, has described Paul’s chapter, titled “The First Crusade: Unprovoked Offense or Overdue Defense?,” as the “most important” contribution to the book. 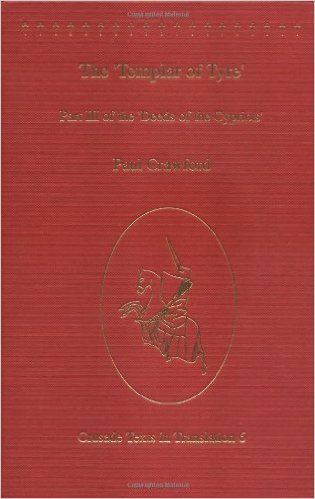 Fortunately, Paul has agreed to answer some questions about both his fascinating career as a crusade historian as well as his contribution to the Seven Myths of the Crusades book. Paul, what led to your becoming a crusade historian? What drew you to the topic? Coincidence, really (if you believe in coincidence—I’m not sure I do, but it’s a good short answer).I thought I wanted to study Scottish medieval history when I began thinking about grad school, but once I got there, it didn’t work out for a variety of reasons (for one thing, the professor to whom I applied, and who admitted me, didn’t do Scottish medieval history himself, nor did anyone else at that school). At the time, I was taking a course in “Music, the Arts, and History” from John W. Barker, Jr., a Byzantine historian at the University of Wisconsin. He took me in and guided me into crusade history (a side interest of his) and towards another one of his grad students, Erik Opsahl, who mentored me into studying the military orders. I owe John Barker a near incalculable debt, and a very great deal to Erik Opsahl too—more than Erik will ever admit I owe him! But I know how much I owe both of them. Beyond that…I suppose I was drawn to the real crusades, not the ones caricatured in the media and popular imagination—drawn to men and women who were willing to put their lives on the line to defend what they believed in: their friends, their families, their co-religionists, their countries, and above all, their faith, when those things were threatened. There is something refreshing to a modern reader—at least to this modern reader—in the single-minded dedication and determined self-sacrifice that many (not all!—but very many) of the crusaders demonstrated. Anyway, the crusades, in their broadest terms, are such a vivid saga of human achievement and failure, love and hate, altruism and cruelty, self-sacrifice and opportunism, that I don’t see how anyone who actually knows anything about them could fail to be fascinated. Mostly, I would argue, they constituted failure, love, altruism and self-sacrifice on the Christian side at least, but all those elements, and many more, were present. Better than a movie (and, in the case of the most recent “major motion picture” made about them, much better than the movie)! Why have CNN, FOX NEWS, and many other media outlets called on you (as a medieval historian) to provide commentary on modern events? How does the study of the medieval crusades inform one’s understanding of our current age, which is presumably witnessing both a “War on Terror” and a “Clash of Civilizations”? I suppose you’d have to ask them to be sure! For one thing, there aren’t very many crusade historians in North America, so the field is narrow. I try to give journalists and TV producers what they’re looking for—which are usually pithy quotes—while at the same time trying to make sure they get what I want to them to have, which is accuracy. That can’t always be managed. One is not always in control of the outcome when one is on camera or on the air. But one must do one’s best. And I think they appreciate that. More deeply: the modern world was profoundly shaped by the Middle Ages. Most of the time, people don’t even notice that. But in the case of the crusades and now of modern Islamic terrorism, the inter-relationship is a little easier to see (at least, people think it is, though they’re often quite wrong about the reality of the interrelationship), so I think that’s one reason why media people are occasionally willing to reach beyond the here-and-now and ask someone as obscure as a medieval historian for his opinion. 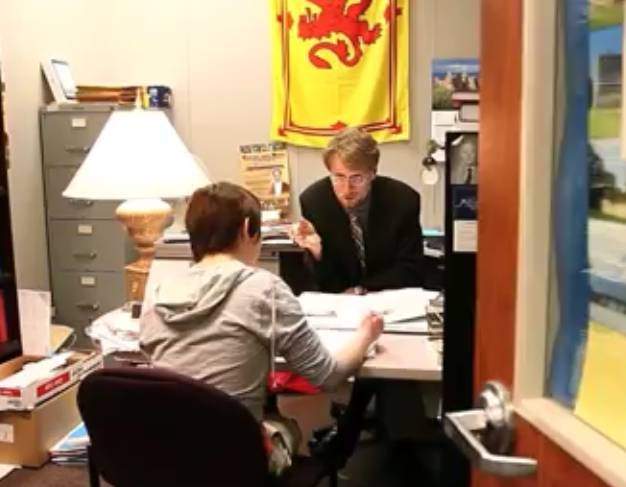 Academics, in general, sometimes complain about how they are depicted in television specials or the limited formats of very brief television interviews that cover otherwise complex and substantive issues. What advice would you give to academics (inexperienced with such formats) that are considering engaging as public intellectuals through various modern media forums? By way of beginning to answer, let me offer a little story. In 2004, I was in Istanbul, filming in the Chora Church for a History Channel production company that shall remain nameless (the History Channel does not generally produce their own material—other companies produce programs and supply them to the History Channel). I had been very dissatisfied with the presuppositions behind the program in question from the beginning, and had kept raising objections and trying to influence the direction things were taking, without much success. I was getting progressively embarrassed about how they were going to make me look, in the final product, because I couldn’t even induce them to ask the right questions. (At one point, on camera, I had simply replied to my interlocutor’s questions with “No!”—which interaction did not, needless to say, make it past the cutting floor.). John France, probably the foremost authority in the world on the military history of the crusades, was on the set, watching and waiting for his turn the next day. During a break, I went to him and said, “What am I going to do with these people? This is going to be a disaster.” He replied, with all the urbanity and calm of which John is capable, “Don’t worry about it. It’s just TV. Everybody who matters knows that.” It was good advice. But one does have to be careful how one phrases one’s answers while on-camera. Jonathan Riley-Smith was once participating in filming for another major crusade-related program, by a very well-known host and producer. The producer misled him as to the intended nature of the program, and then used the editing process to make it appear that Jonathan had said the exact opposite to what he had actually said. Because one signs away all rights to one’s image and words when one participates in these programs, there wasn’t anything much he could do about it, but as you may imagine he was not too pleased. I’ve never had an experience that bad, but I am always careful to try to phrase my answers in ways that will make it as difficult as possible to distort what I say in the editing process. Once the words are out of your mouth, you have no editorial control over them. So one can never entirely avoid the risk; it’s always there. My advice would be to pay attention to what’s being said and done, take at least mental notes on the direction the program appears to want to go (and there’s always a desired direction), be careful to craft your answer in ways that make it as difficult as possible for it to be wrested…and then let it go. Your essay for the Seven Myths of the Crusades book refutes the popular notion that the First Crusade represented the beginning of bad relations between the West and the Islamic world by highlighting a long and extensive history of Christian and Islamic conflict prior to 1095. Why did you choose to write about this topic? Why do you think it is important to refute this myth? Is the myth widespread? But I had also already published an essay dealing with four myths about the crusades, one of which was that mistaken idea that the crusades represented unprovoked aggression by the Christian world against the Islamic. The material that I had covered there was necessarily limited by the constraints of the article’s size, but the more I had dug, the more I had come to realize the scope of the conflict between Islam and Christendom (for want of a better word), and the more clear it became that the crusades simply represented a natural evolution in the course of Western Christendom’s ongoing attempts to defend itself against an Islamic aggressor. As I pointed out in the Seven Myths essay, there is an Italian chronicle that nicely illustrates the way medieval people thought about the crusades: the entry for the First Crusade follows an entry describing an earlier campaign carried out against Muslim raiding centers by a Christian Italian alliance. In the eyes of contemporaries, this was the “next step,” rationally. Or, to put it a different way, as I said at the end of the essay, although the First Crusade may have represented a new page in the story of Christian-Islamic conflict, it was a new page in a very old book. This myth about the crusades—that it represents an unprovoked act of Western aggression—is so widespread that I would say it is near universal. This is true even in academia, where a great many people who really ought to know better continue to retail it. It simply does not stand up to unprejudiced examination of the facts. But that unprejudiced examination is too-rarely undertaken. And I do think that this is a critically important subject today, and not just for academics. The “book” of Islamic-Christian conflict that I referred to earlier is not finished (if you prefer, we could call it “Islamic-Western” conflict, but at its heart this is a 1400+ year collision between the world’s two largest religions). That conflict is ongoing. Failing to understand its history will lead us into very dangerous territory today—I would argue that it already has led us into very dangerous territory. Today we sometimes even see historians writing opinion pieces for major newspapers that appear designed to give cover and respectability to groups like the Islamic State of Iraq and Syria (ISIS)—to make excuses for their inexcusable atrocities—because the writers misunderstand or misrepresent the facts of past confrontations. We see political leaders attempting to depict believing Christians and Islamic terrorists as moral equivalents. Such misunderstandings are costing the Christians of the Middle East very dearly today, and not just Christians: Yazidis, secular Muslims, Shi’ites, and even “insufficiently” radicalized Sunnis are also paying terrible prices for the events that have resulted from these defective understandings. That price has also begun to be paid by people in Europe, North America, and Australia as well, as we have seen in the recent past, and I suspect the price tag, and frequency of payment, will only get higher in the future. It’s not that history “repeats” itself, exactly (apologies to George Santayana!). History isn’t a cycle; it’s a linear story. Rather, it is that if one does not know where one has come from, one runs a very serious risk of losing control of where one is going. And I think it is the job of historians to try to make sure we know where we’ve come from. So I try to set the record straight when I can. 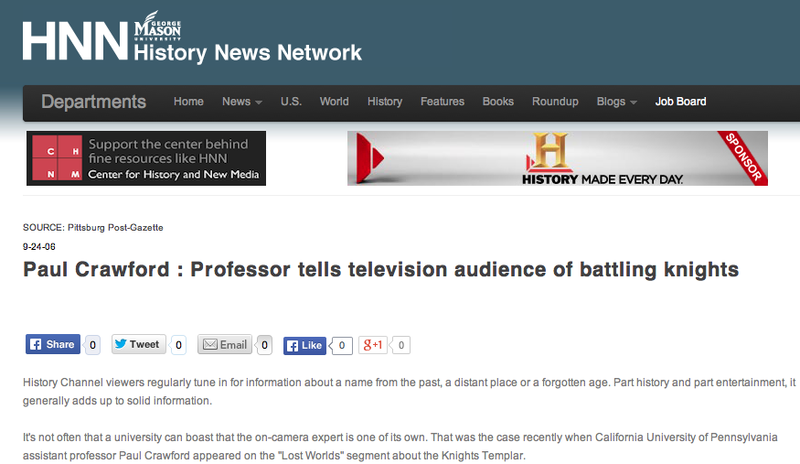 This entry was posted in Uncategorized and tagged California University of Pennsylvania, crusades, historians, History Channel, Medieval, Paul Crawford, Seven Myths of the Crusades, templars on August 2, 2015 by Andrew Holt Ph.D..